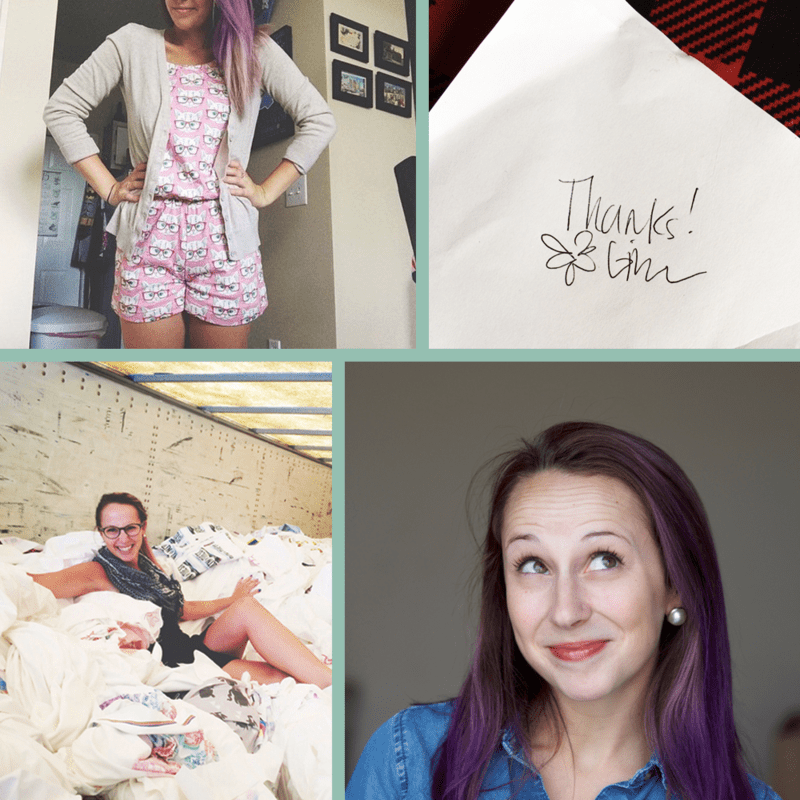 Have you ever received a Spoonflower order and wondered about the faces behind your personally signed order receipt? Today, meet the faces behind those signatures as you get to know three employees helping to process your orders, each and every day! Q : What is your favorite Spoonflower fabric to work with and why? A: Modern Jersey! A thousand times over. I live in t-shirts and a yard of Modern Jersey is the perfect amount to create the perfect comfy shirt. I’ve also recently ventured into sewing with woven fabric. I made a few dresses with Cotton Lawn Ultra this year and it is such a dream to sew with and wear. Can a fabric be a dream come true? Because Cotton Lawn Ultra is. Q : Do you have a designer super crush? A : Oh gosh. I don’t even know how to answer that. I feel like I’m constantly finding new designs and designers that I love! A few of my favorites are: Spellstone, Mandasisco, Heidikenney, Thirdhalfstudios, and pennycandy . Q: What is your Spoonflower super power? A : I am Paula: Fabric Wizard, Mim Master, The Mother of Heat Beasts, The Packslip Fairy, The Schedule Goddess. I’ve acquired many powers over the last three years. The ones I find most weirdly impressive are how straight I can freehandedly cut a line and how neatly I can fold 10 yards of silk. Those are skills I never even knew I would have one day. Joining the Spoonflower team this past March, print operator Gina starts each day with a printing pep in her step! With a focus on repurposing waste fabric, Gina is always on the lookout for kid-friendly crafts to use at upcoming Greenhouse events or up-cycled items to stock her Etsy shop. 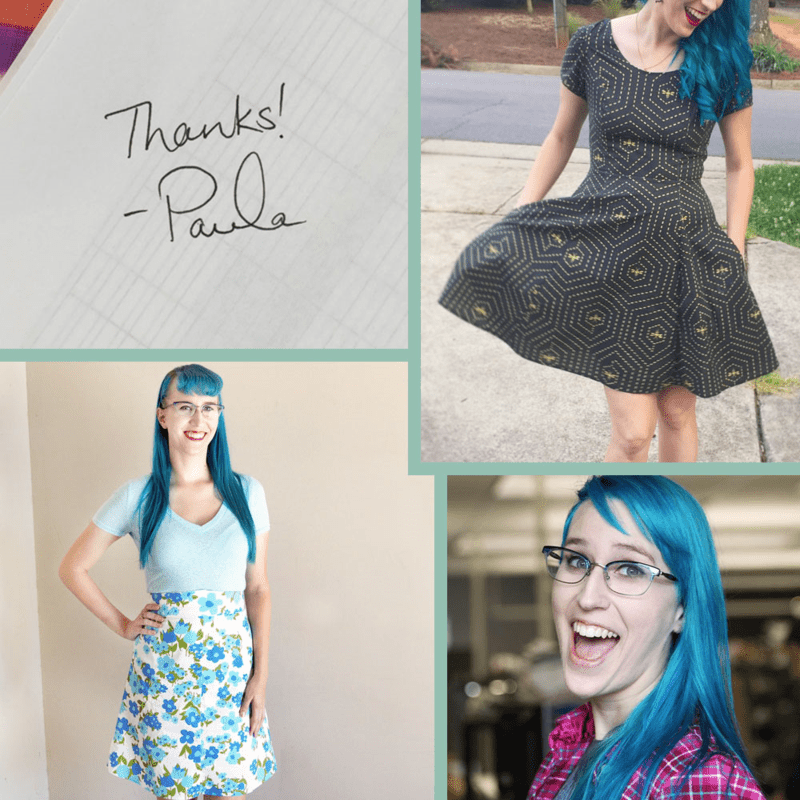 Q: What do you like most about working at Spoonflower? A: I love knowing that the work I’m doing is helping a new entrepreneur get started, allowing someone to make adorable clothes for their children, or inspiring a corporation to create a beautiful event space. Our customers use our products for so many amazing things, and I’m thrilled with the fact that I’m working in a modern-day factory where creativity rules. Q: Do you have an Etsy shop or website to showcase your handmade goods? A :Yes! You can find my shop on Etsy: With Love from Dove! I love being able to take some of our waste fabric as well as things I find thrift shopping or foraging in the trash, repurpose them, and turn them into something unique. Q : Spoonflower employees are notorious for snacking. What’s your favorite cereal? 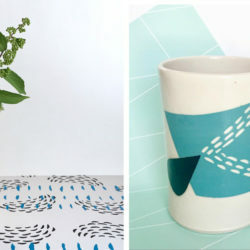 Q: Do you have a Spoonflower Marketplace Design that you can’t stop thinking about? A: There are so many beautiful, and creative designs available in our Marketplace that my favorite design changes pretty much weekly. I am all about dinosaurs in general right now so I just ordered some Dinosaurs in Space by kristykate for a special Print Room project and I love it! 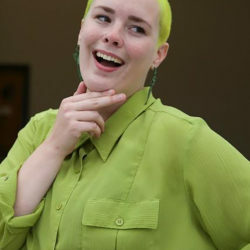 While new to the Spoonflower family, Operations team member Denise has proven her sewing expertise, including a win for the coveted Most Creative award during the employee Halloween costume contest. 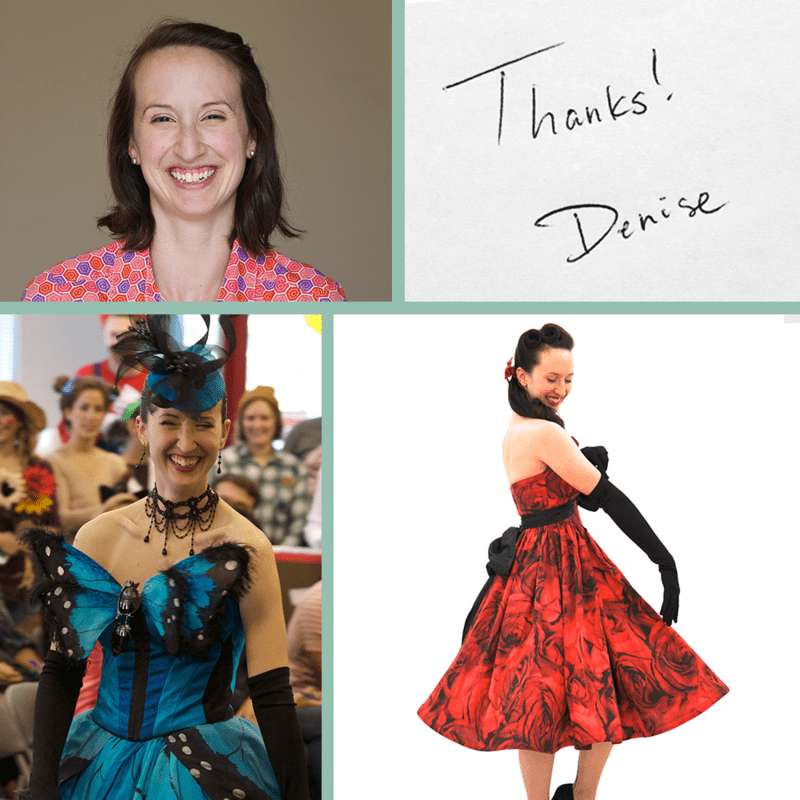 Whether she’s making costumes for Playmakers, testing Sprout Patterns, or cutting down your order, Denise is always looking for opportunities to grow her fabric knowledge. 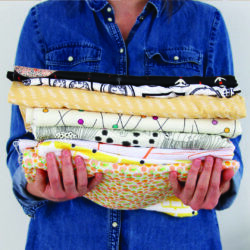 Q: What do you like to make with Spoonflower fabric? A: I like to make baby blankets, curtains and costumes with Spoonflower fabric. I am currently working on repairing a vintage 1920s dress with Spoonflower fabric! Q: What is your favorite Spoonflower fabric to work with and why? A: I really enjoy working with the Poly Crepe de Chine. It is so soft and flowy, but really easy to work with. A: My Spoonflower super power is getting the scanners to work on really difficult fabrics when scanning the printed barcodes. A: The creative community. 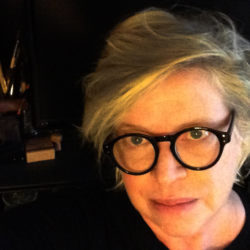 We all have different artistic backgrounds and can bounce creative ideas off of each other and grow in our field. Now that you’ve met Paula, Denise and Gina, three of the many Spoonflower employees helping process every order, maybe you’ll be the lucky one to receive a signed order receipt from one of these fine ladies! Nice to meet the people behind the faces, outfits and handwriting – I will keep a watch out now for your signatures! Some great outfits modelled in the pics here, and I want to know more about “repairing a vintage 1920s dress with Spoonflower fabric”. We’re glad to hear you enjoyed our behind the scenes post! Denise is using butterfly ecru by marketa_stengl (www.spoonflower.com/fabric/3318910) to revamp her dress. We’ll give you an update once we have a bit more information to share! I’m glad we could show you the friendly faces behind your Spoonflower orders! Signing “thank you” in different languages is one of the best parts of signing order receipts! Oh, my! I just saw this lovely dress made with my roses. How darling! Those roses were a gift from my husband and I love how his romantic gesture has grown into a life of its own when I see gorgeous things made from it! Denise did a fabulous job and her dress pops with your beautiful print! The design story is so sweet and we’re so glad you shared this design with the Spoonflower community! We’ll be sure to pass your kind words along to her!